Jacqueline Winspear was born and raised in the county of Kent, England. 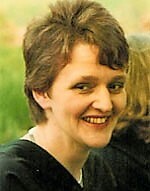 Following higher education at the University of London’s Institute of Education, Jacqueline worked in academic publishing, in higher education and in marketing communications in the UK. She emigrated to the United States in 1990, and while working in business and as a personal/professional coach, Jacqueline became a regular contributor to journals covering international education and travel, and has published articles in the Washington Post, Huffington Post, The Daily Beast and other publications. Her short stories have appeared in magazines internationally, and Jacqueline has recorded her essays for KQED radio in San Francisco. She has contributed to several anthologies of essays and short stories. Maisie Dobbs, housemaid, battlefield nurse, psychologist and private detective, first walked into her creator’s imagination nearly fifteen years ago, while she was stuck in traffic! 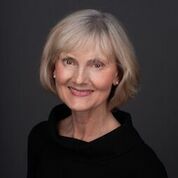 Jacqueline Winspear refers to the experience as a ‘moment of artistic grace’, and likens it to J.K. Rowling’s Harry Potter, who first appeared on a train journey. painfully aware of the suffering which war brings. 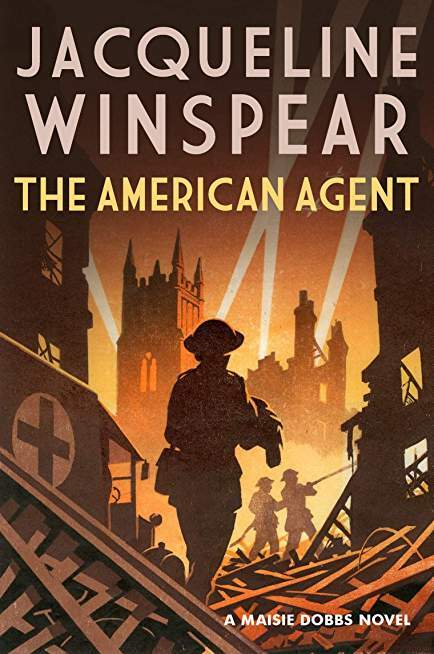 The American Agent, the latest in the Maisie Dobbs series, takes place at the height of the Second World War. Lynne: When I first discovered Maisie Dobbs, I was struck by how unusual her career path was. Housemaids who won places at Cambridge were few and far between in the 1900s, as were nurses who worked at casualty clearing stations in the Great War. Was this a deliberate decision on your part, to make her stand out from the crowd? Or was it just the way Maisie took shape in your mind? Jacqueline: Right from the outset, there was much I already knew about her. I always knew Maisie’s name, that she was a former WW1 nurse, and that she was intellectually and intuitively very sharp. Obviously, with a series, the characters continue to reveal much of who they are over time. That’s one of the great advantages of a series, in that it is a very organic process – after all, you didn’t get to know any of your friends instantly, so why would you know everything there is to know about a character in one fell swoop? But it really wasn’t at all unusual for women to move beyond domestic service in the Great War – for many, the war was a way out of service. It’s also why the numbers of domestic servants went down following the war – after all, why would you want to go back to that when you could earn more in a factory? And the opportunity to attend university came to Maisie with sponsorship from her employer – who had been challenged by another character to ‘put her money where her mouth is’ and do more than spout suffragette rhetoric. In contemporary terms, Maisie was in the right place at the right time. But she gave up that opportunity to enter nursing service – and many nurses were sent to work in casualty clearing stations close to the front lines. Lynne: Is it those awards which are the measure of success for you? Or is it great sales figures? Or something else entirely? Jacqueline: I know my publisher will hate me to admit this, but I have never paid close attention to sales figures – as long as I know they’re happy with my work. Frankly, I wouldn’t know where to look for those numbers, although I am sure they’re on printouts I receive. The awards are the icing on the cake. The measure of my success comes in waves: finishing the manuscript, then having it go into production, then the book in my hand. After that I’m on book tour; meeting the many people who love the series and hearing from them is amazing. For me it’s an achievement every single time. It’s an incredibly honour to be nominated for an award, and again to receive one – I’m incredibly grateful for the recognition. Being able to write is the gift for me. Lynne: I’m always interested to know how a new novel gets started in the author’s head. What strikes that first spark for you? Jacqueline: Looking back over my work, it seems there’s kindling – an idea that has been rolling round for a while, and which might be added to until a number of elements connect with each other – followed by a spark, which is something with added energy that is held to that kindling to begin the fire of story. The kindling can be there for years before I begin to write, but then something else comes along – another piece of information, or something I’ve heard or observed. Elements of The American Agent were laid as kindling when I was a small child, and added to as I grew up – my mother’s stories of the Blitz, then later discovering the whole history of the Archibald McIndoe’s work with seriously burned pilots. When my brother was eight, he was admitted to the Queen Victoria Hospital in East Grinstead for a type of reconstructive surgery, and while wandering around I came across a plaque honouring McIndoe, and ended up asking the nurses all about him! Then came my interest in women war correspondents, which was ignited many years ago and continues to this day… and so on. That’s kindling being laid stick by stick over a period of time, until we come to Maisie in September 1940, when I wanted to bring back Mark Scott from Journey to Munich. It’s rooted in curiosity, and the fact that I tend to squirrel away things that interest me, along with the personal stories of people I know. Lynne: Historical background plays a large part in all the novels, and it always feels right. Do you research first, or do you sit down and write, and fill in the background as it comes up? Jacqueline: The most important part of the novel is the story – creating that story takes precedence over everything. By the time I begin a novel, I know most of what I need to know to write the book. In truth, much of that research was going on years before I began writing my series, but I didn’t think of it as research – it was just a deep interest in a certain time period (roughly 1913–1954, which marks the end of post WW2 rationing in Britain), and specifically the history of women during that time. All the information is simply there to support the story, to give it colour and texture, and to create authentic voice and language. However, while I am writing, if there is something I need to know, I list it on a large white poster, and it becomes part of my research reading when I finish writing for the day. Lynne: What process works best for you? Do you plan everything out in detail, chapter by chapter, or do you start writing and let it run? Do you know how a novel will end when you start writing? Jacqueline: It’s a bit of both. I do enough planning to allow myself to ‘dance with the moment’ and go in another direction if I want. When I begin a novel, I stick three large posters on the wall (the sort you rip off a pad with self-adhesive that doesn’t bring the wallpaper down when you’ve finished). On one I draw what looks like a camel’s hump, only it leans to the right. On that I note the main landing points in the story, with the denouement on the top of the arch, followed by points down to the end of the story. On the second poster, I write the names of my characters, which is really important as I tend to change names as I go along – sometimes a name just doesn’t fit. And on the third I note ‘things I need to know but don’t.’ When I’m about fifty to a hundred pages in, I begin a notebook, jotting down events that might need to happen in the next chapter and the one after that, and so on. And that is it. When I am finished with the book, I destroy the posters, the notebook and any other papers. I don’t know why I do that – people have told me I should keep all the notes, but it has been part of my ritual when a book goes into production. Only the story remains. Lynne: The Maisie Dobbs series now runs to fifteen titles, and you seem to have no difficulty at all in keeping it fresh and making each one different. Is this something you consciously set out to achieve? Or does each new story take on its own life? Jacqueline: When I first knew I was writing a series (which was when my then editor called me as Maisie Dobbs went into production and asked when I could deliver the next book! I had to scramble! ), I asked myself what I wanted to create – and I realized that I wanted the series to have an overall arc, in addition to a story arc in each novel. I wanted to move my characters through time – to explore their journeys through the events of their day as well as the case in hand. I wanted to see what time did to them, and how they related to each other over time. So, in a way, time is my guide; events and people can never stand still. Maisie at 42 is not Maisie at 17, though there was a lot of the woman she would become in the girl who lied about her age to serve as a nurse in a terrible war. Each novel has its own life, its own rhythm and pace, and its place in the lives of the characters, as well as an historical context. It’s a rewarding process – maybe the best excuse for constantly delving into a place and time that continues to spike my curiosity. Lynne: A book is a very special thing. When you hold your first copy of a new novel, does it feel familiar – or completely different from the manuscript you initially sent out? Do you re-read it? Jacqueline: The book simply feels like a gift to me. My editor always sends me a first copy with a note inside, and I cherish that copy – every single time I feel as if I am clutching my first novel. I will read excerpts when I’m speaking at an event, but once a novel goes into production, I never read it from beginning to end again. Frankly, where would I get the time? Lynne: Who do you write for? Is there a reader in your mind when you set out to write? Jacqueline: I have no one specific in mind when I write. My readers represent a very broad demographic, from late teens to late 90s, and both men and women, so it would be too limiting for me to write to a specific reader. If anything, I write for myself – being a novelist is like being a master puppeteer, putting characters in situations and seeing what life and circumstances might do with them. Lynne: The books are set in the UK and Europe, but you’ve lived in the USA for nearly twenty years. Do you still feel British? Do you visit often? Jacqueline: Oh, yes, I am in the UK a lot. My parents have both passed away now, but over the past ten years or so, the twice a year visits increased to five times each year; I racked up a lot of miles with Virgin Atlantic. In 2012 when my dad was ill, I was in the UK for six months, then again in 2015 another six months with my mother. I’ve just returned to the US from a trip to the UK, and I’m going back in a month! I feel very British, though I do believe my distance from Britain helps me to see the past without being distracted by the Britain of today. Lynne: The series started out with one foot in the pre-Great War period, and has now reached 1940, when the Second World War was at its fiercest. What is it about a world at war which interests you? Jacqueline: A time of war, of conflict, brings out so many emotions in people. People are tested, yet life goes on – it has to. Bravery sits alongside cowardice, strength with weakness. People demonstrate extraordinary acts of kindness, of empathy and compassion, and you see resilience and grit. By the same token, war brings out the profiteers, black markets, along with the dubious machinations of governments. Amid all the chaos, there are moments of deep human connection. If you blend all those elements with the journey of chaos through to resolution that is the framework of any mystery, you have the material to weave stories that go to the very heart of the human condition. Lynne: Tell us a little about the new novel, The American Agent. Lynne: Jacqueline, thank you for taking the time to answer my questions; I know it’s taken up valuable time which you could have spent writing. And the best of good luck with The American Agent, and all your future writing. Pardonable Lies. Birds of a Feather. The Care and Management of Lies set during the Great War.